Purchasing raw land is generally a less involved process then purchasing improved land. Raw land does not require tenant approval, inspection of building improvements, and other complicating factors that may arise on the purchase of improved property. Even still, though, raw land purchase agreements should always include a few basic provisions to protect both the buyer and the seller. These protections are important even though the land is not improved or occupied. An essential provision in a raw land purchase agreement addresses the property purchase price and how that price will be paid by the potential purchaser. Raw land can be difficult to value since its value largely depends on its future development potential. You may need a valuation professional to help you negotiate the price. The seller may require an earnest money deposit, an additional deposit, and a final payoff at closing. Or, the seller may agree to finance some or all of the purchase price. Whatever the arrangement, the terms need to be clearly specified in the purchase agreement. What Due Diligence Do You Need With a Land Sale Agreement? The purchase agreement should also specify a clear time frame for the potential purchaser to conduct its due diligence on the property. The due diligence period is the time between the date required for the earnest money deposit and the date of closing, during which the borrower reviews the condition of the property and title to the property. The agreement will likely give the purchaser the option to terminate the agreement with a full refund of any deposit if the purchaser is not satisfied with certain aspects of the property after conducting due diligence. Things to look out for include the zoning of the site, easements for utilities and access and environmental contamination issues. The matters can impact the value and future development potential of the land. 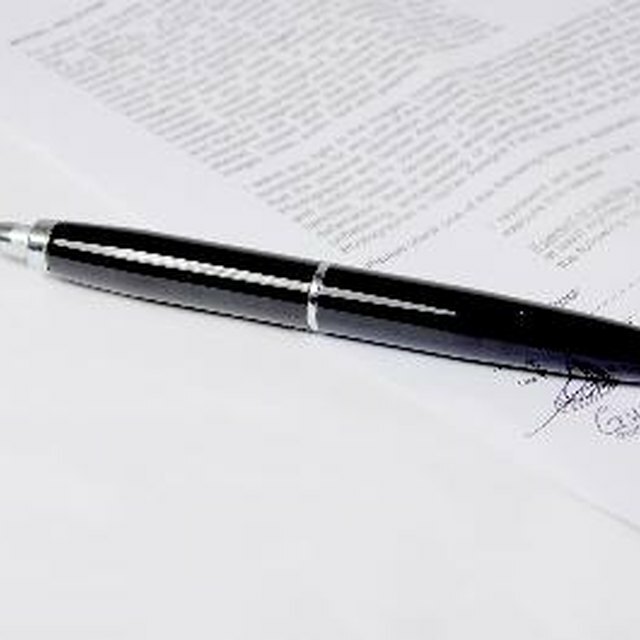 The purchase agreement should also clearly specify any conditions precedent to final closing. Common conditions for closing include satisfactory review of the condition of the property and title to the property; appraisal of the property for an amount at least equal to the purchase price; obtaining financing to purchase the property; or the purchaser first selling a different piece of property. The amount and nature of the various conditions to closing is subject to negotiation between the parties, but the key to a good purchase agreement is to clearly specify each of those conditions agreed to. What Is the Seller's Responsibility in a Land Contract? The purchase agreement should also include provisions relating to what constitutes a default of the agreement, and what each party's respective remedies are upon default by the other party. For example, if the seller defaults, does the purchaser have the option of specific performance – which means the purchaser can force the seller to sell the property – or will the purchaser simply be entitled to damages, and if so, in what amount? For certain, the agreement should spell out what happens to any deposit upon the default of either party. If the purchaser defaults, does the seller get to keep the deposit or must the seller still return the deposit to the purchaser?